Oral and Maxillofacial Surgery deals with the diagnosis and treatment of diseases, abnormalities and injuries affecting the mouth, face and jaws. 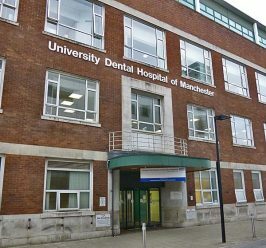 A wide range of oral surgical operations are carried out on both an outpatient and inpatients basis at the University Dental Hospital of Manchester or Manchester Royal Infirmary. Procedures include the removal of teeth and roots, surgical removal of wisdom teeth, dental implant operations and soft tissue surgery. These are often undertaken with local anaesthetic or conscious sedation. 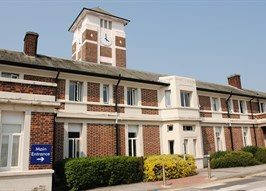 More major operations, including those for salivary gland disease, trauma, jaw joint operations, facial deformity or cancer, advanced implant treatment, nerve repairs or bone grafting are carried out on an inpatient basis under general anaesthetic at the Manchester Royal Infirmary. Child patients may have treatment at either the University Dental Hospital of Manchester or Saint Mary’s Hospital. Admission is via direct referral from either you General Medical Practitioner (GP) or General Dental Practitioner (Dentist). 9:00am – 5:00pm Monday to Friday – clinics by appointment only. Professor Coulthard is Dean of the Dental School and has an international reputation in pain/anxiety control and has also been involved in publishing several Cochrane Systematic Reviews. Professor Julian Yates has an established track record in research including the management of trigeminal nerve injuries and using modern manufacturing technologies in skeletal/facial reconstruction. He has also been involved in publishing several Cochrane Systematic Reviews. Dr Saksena has an interest in patient safety and governance. She has recently led on a Surgical Site Checklist to improve patient safety and has been listed as a finalist in the national Patient Safety Awards.